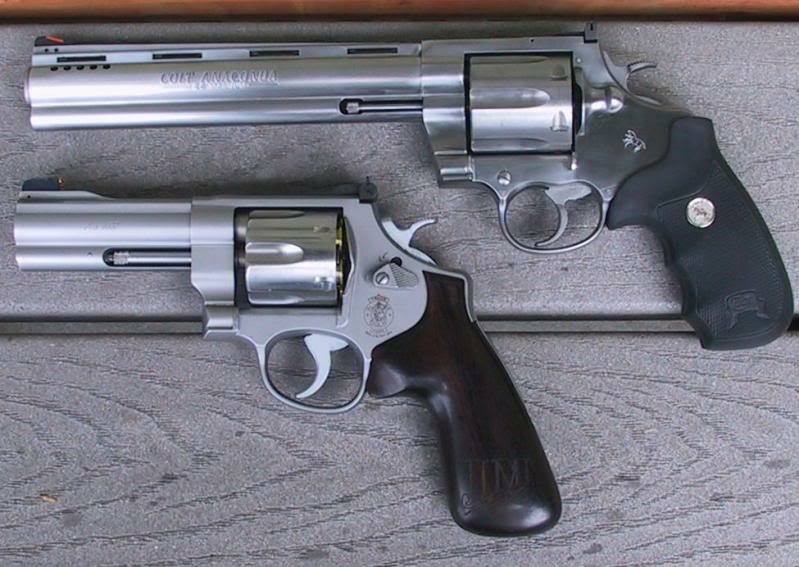 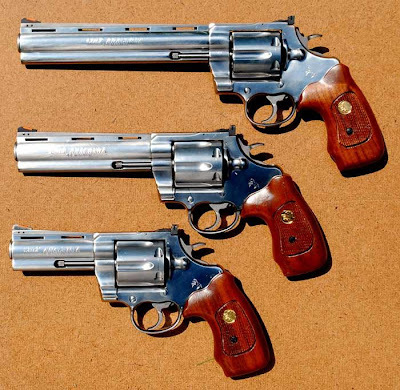 Type: double-action revolver; Caliber - .44 Magnum; Barrel length - 152 mm (6") / 203 mm (8") ; Capacity - 6 ; Weight ~ 1700 g (3.7 lbs). 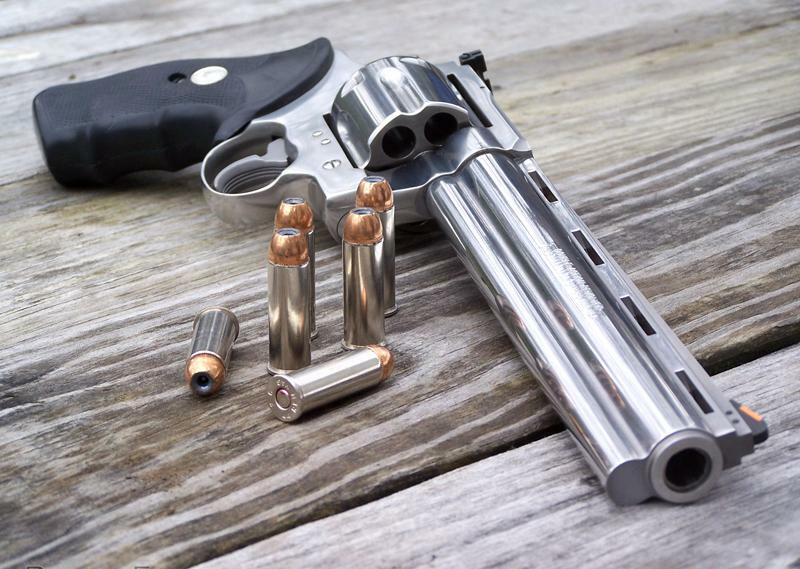 Extremely impressive, .44 Magnum Colt Anaconda revolver is a very serious modern weapon, providing shooter with an outstanding firepower. 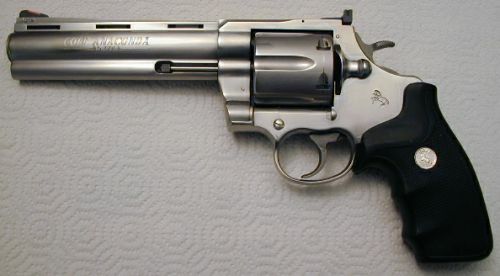 The size and weight of Colt Anaconda are too big, so only few magnum fans can afford themselves to carry this gun in the streets regularly. But Colt Anaconda is a rational choice for home defense and car defense. 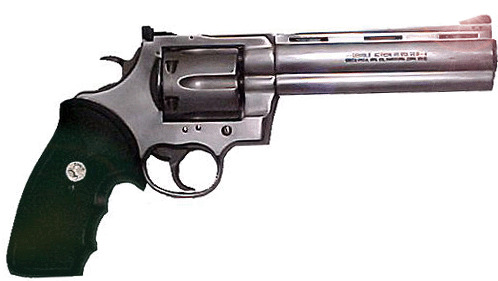 In many self-defense cases only the drawing of this revolver will be quite sufficient to put an attacker to flight.